Sufjan Stevens has taken on a huge project: doing an album for each state in the union. He started with Michigan – his home state – and Illinois is his second album in the project. 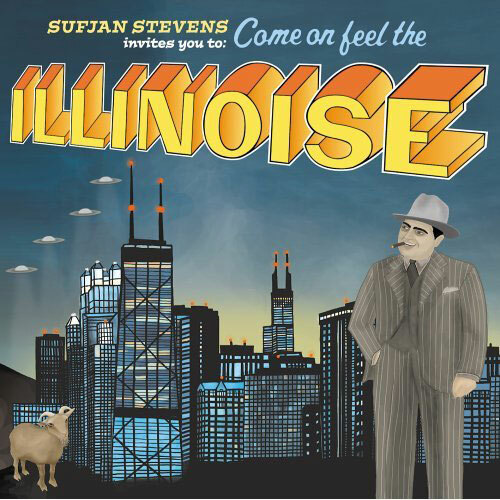 There are songs on this album about John Wayne Gacy, Abraham Lincoln, the Cubs, and there are many recognizable Illinois place names mentioned. All this sounds pretty boring on paper, like a history lesson, but the songs are really beautiful and the lyrics can hit you just like any other lyrics, and aren’t like a lecture. I admire him for taking on such a ginormous project – I somehow doubt he will finish in his lifetime!